A Strange Love Story - Told With Startling Frankness by Carl Dreyer, world-famous director. 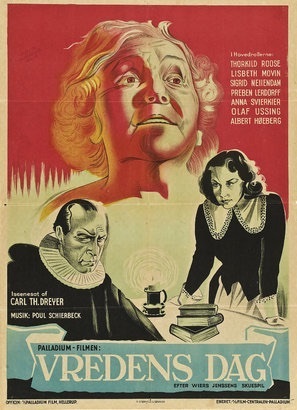 Day of Wrath is set in a 17th century Danish village where an old woman is accused of witchcraft, which she had confessed to in order to save the film's main character, Anne. Faced with death at the stake, however, she denounces Anne and this sets in motion the rest of the film.